The this presentation “Trading the 5-Minute Time Frame With Precision,” my aim to encourage simplicity and clarity in the trading strategies I use. I will explain my approach trading the 5-Minutes time frame for a later day trading strategies, and then I will show you one from an early morning strategy using a gaping stocks list. My Essential components of successful technical investing and trading. Price Is King - When analyzing trends and determining next steps, never lose sight of the actual price movement. Ultimately, price should drive every decision. Candlestick Analysis - This graphing method likely presents information in the most transparent, easily graspable manner. 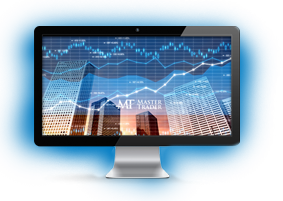 Trend and Multiple Time Frame (MTF) Analysis - Analyzing trends over multiple time frames offers the best chance at success by providing a more holistic analysis of price movement. 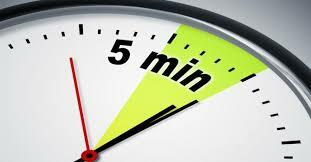 Then, working down to the five-minute time frame serves as a highly efficient market analysis method. Support and Resistance Analysis – Is a key component of Master Trader Technical Strategies and it was pointed out not to confused he use of moving averages as them being actual price support or resistance. Moving Averages – I explained my unique method of calculating moving averages to determine which moving averages will display the trend of a higher time frames on the lower 5-minute time frame. These moving averages providing traders a focus on a signal time frame with the knowledge of trends in multiple time frames. Volume Analysis - For me, volume analysis might be somewhat overemphasized. However, it serves as an excellent indicator of probable turning points. 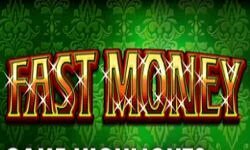 Position and Money Management - Lastly, even the best chart reader may fail without sufficient position and money management skills. Beyond these foundations that I discussed the importance of pattern recognition. Although traders should be careful not to fixate on finding exact matches for textbook patterns, facility with these models greatly aids trend analysis. Retracement - This pattern indicates that a stock’s price is experiencing a temporary reversal, counter to the overall trend. Retest and Failure - Retest and failure patterns show that a price fluctuated for a moment before along the direction of the general trend. Flag - Flag patterns indicate a sharp price movement closely accompanied by sideways movement. Well-Developed Base - This pattern illustrates a relatively stable trend that gives traders a profitable support area. For those that are not in front of a screen intra-day, SWING TRADING IS THE BEST FOR INCOME and WEALTH!